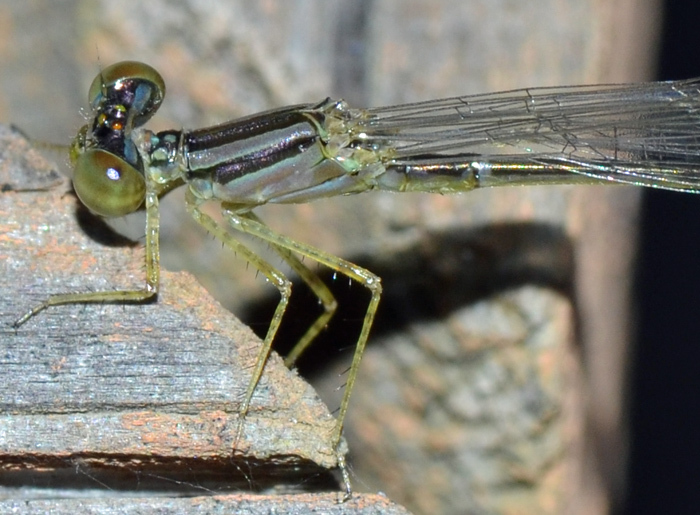 The first damselfly in my collection. 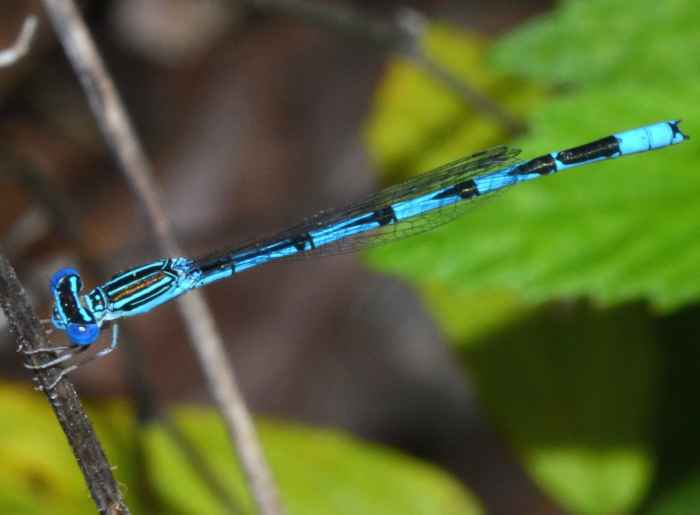 Compared to dragonflies, damselflies typically have a slender body and similar sized/shaped fore- and hind-wings which they tend to hold over their body (except for spreadwings). 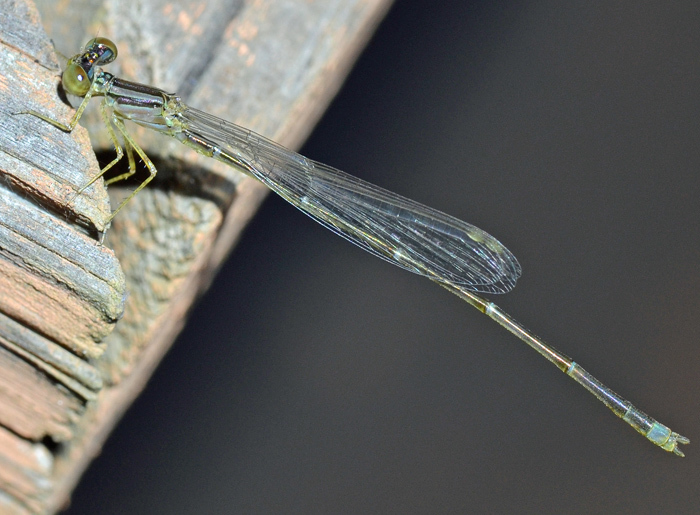 This specimen is a narrow-winged damselfly (a.k.a. pond damselfly) and most likely a bluet (Enallagma sp.). 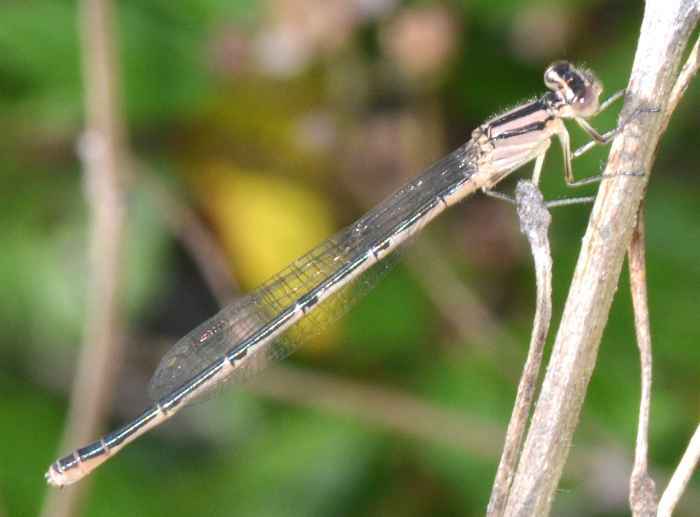 In my area, there are at least three very similar looking species: the familiar bluet (E. civile), the Atlantic bluet (E. doubledayi), and the big bluet (E. durum). Size: approx. 30 mm. Photo: 04/22/12, 5 pm. Another Bluet. This one is definitely an immature female. Size: approx. 25 mm. Photo: 05/27/12, 7 pm. 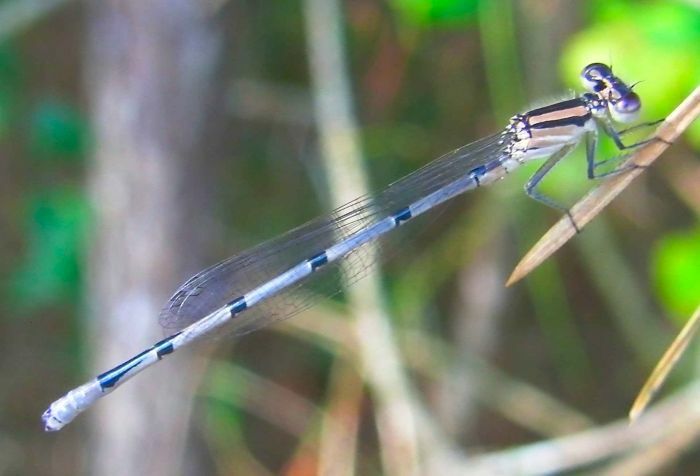 The Double-Striped Bluet (Enallagma basidens) is a rather small bluet. A distinguishing feature of this species is that the black shoulder stripe is cleanly divided by a narrow blue stripe. It can be found throughout most of the US but not the Northwest. Enallagma signatum (Orange Bluet) ♂. Size: approx. 35 mm. Photo: 06/17/14, 8 pm. This is probably a young specimen of Enallagma signatum. It has long grasping cerci that allow the male to hold the female. From wikipedia: "After mating, the pairs will begin laying eggs in floating vegetation or debris, with the male often accompanying his partner underwater. The female will remain underwater, ovipositing in the traditional manner for up to 20 minutes at a time." The Orange Bluet is similar to the Florida Bluet.